How the Crown, MMP and the Treaty could change our lives. Tuesday 12 November at Rydges Hotel, Wellington. What kind of democracy will we have in 10 or 40 year’s time? What will New Zealand citizenship look like? Where does the Treaty of Waitangi fit with all this? The long term nature of our society and the very rules by which our country has been governed are being questioned with an eye towards determining which arrangements will work best for New Zealand. Everything from how we vote, create laws, settle disputes, even the flag we salute may be affected. 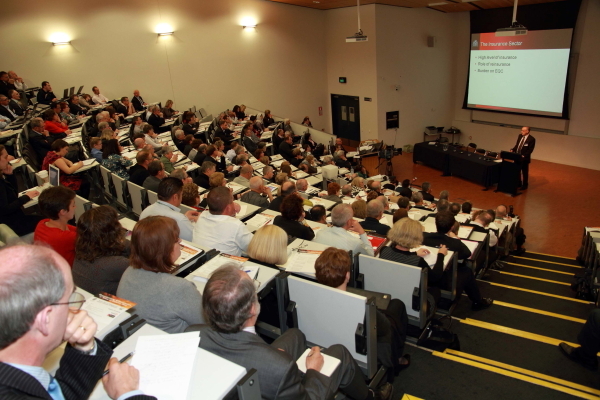 Now in its third successful year, this highly informative forum asked some of the biggest questions to face New Zealanders for generations. Presented by the Rotary Club of Wellington in partnership with the Institute for Governance and Policy Studies, Victoria University of Wellington. Where: The Grand Space, Rydges Hotel, 75 Featherston Street Wellington. This forum was designed to inform debate through a combination of informative addresses by experts in the field and presentations by thought leaders from a wide spectrum of perspectives on what can be challenging issues. There were opportunities for discussion and views to be contributed. Original generation time 1.1566 seconds. Cache Loaded in: 0.0005 seconds.